Pinoy Big Brother, through ex-teen housemates Kim Chiu, Gerald Anderson, Matt Evans, and Robie Domingo, during the 1st eviction night of the regular season over the weekend announced the start of auditions for the PBB Teen Edition Season 4. Teens aged 13-17 years old are invited to be part of the Philippines’ biggest and most-happening reality show. The first of the series of global and regional auditions, as announced, will be held in London on December 11. Teen auditionees must be accompanied by a relative that’s 20 years of age, or older, during the audition. Bring a birth certificate. 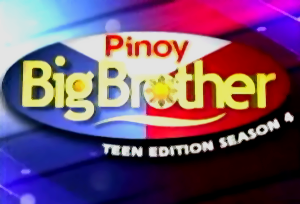 “Kuya” is expected to open the PBB House to the new teen housemates Summer of 2012. December 11, 2011: TFC London Office, 117 Earls Court Road, SW5 9RL, London; 10AM-5PM; bring your passport. January 6 and 13, 2012: SM Mall of Asia, Pasay City; first 4,000 per audition date; gates are open from 9am - 3pm. January 27, 2012: J Centre Mall, AS Fortuna St., Bakilid, Mandaue City, Cebu; For online registration of Cebu auditionees, click here. Bookmark this site, follow us on Twitter, add us on Facebook, do whatever is appropriate and convenient just to ensure that you will not miss out updates relative to PBB Teen Edition S4 audition schedules and venues!